Fun, educational sessions designed specifically for babies age 9 months to 18 months old. Small group sizes and floor based play using age appropriate resources and materials. 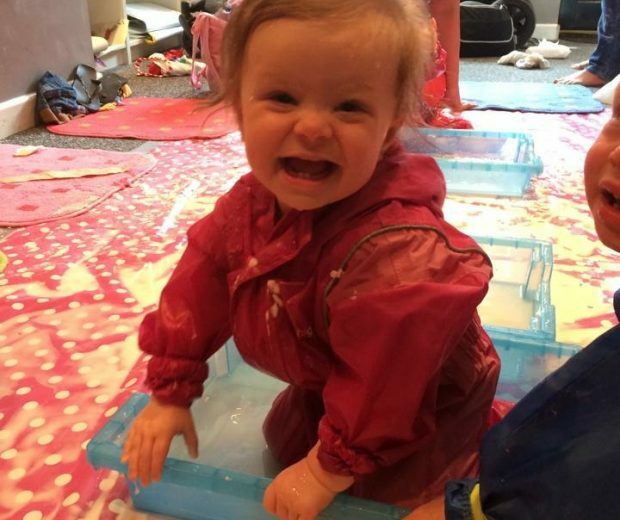 Sessions are softly structured, planned to a theme each week and a fantastic introduction to sensory and creative play. A lovely social opportunity for your little one to meet other babies the same age and for you to meet other parents. 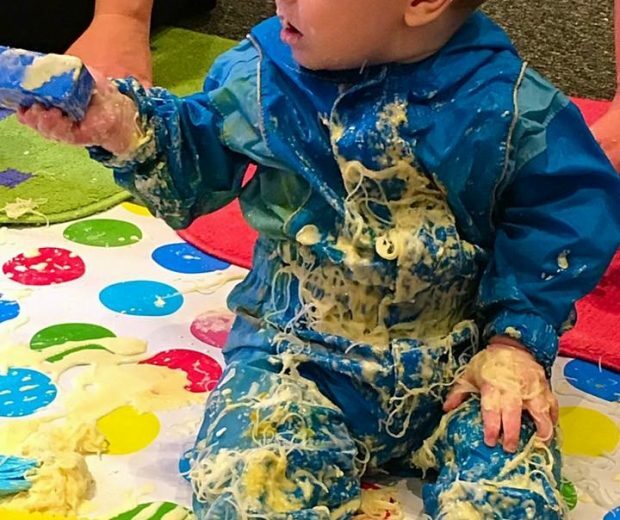 Perfect for your little one and you to enjoy messy play without the hassle of preparing or cleaning up for you! Places are limited so advance booking for the 6 week block is required, cost is £36.